Any blues fan that has ever gone to see a show at a club has had the opportunity to buy a copy of the band’s self-made CD, and in the real world the quality of these discs can vary greatly. 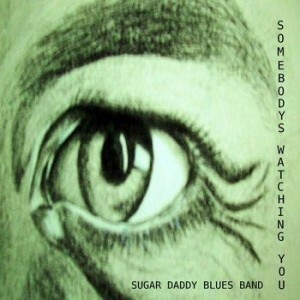 Sugar Daddy Blues Band’s third release, Somebody’s Watching You, sounds like one of these self-produced projects, but it is definitely one of the better ones. Sugar Daddy Blues Band is based out of Greenville, South Carolina and this trio includes John Hawkins on drums and harmonica, Warren Rollins on guitar and keyboards and Mike Lagerholm on bass, keyboards and guitars. Each member supplies lead and backing vocals, and their ability to switch instruments and vocal responsibilities is a tangible asset for the band. All three have been in the music business for over three decades, and their experience shines through on this effort. If you do the math, you can figure out that with a run time of 32 minutes, none of the ten tracks on this album are very long. There are no writing credits available, but all of these songs appear to be originals. The CD kicks off with “Somebody’s Watching You,” a fast-paced blues rocker with wailing lead guitars. The backline is tight, and it is readily apparent that these three guys can really play. This song is an honest indicator of what the listener will get from this CD – straightforward blues rock that sounds like it was recorded live in the studio. After the first track ends, the initial buzz of hearing something new fades a bit, but then the listener can start noticing the lyrics and song structure and it turns out that the Sugar Daddy Blues Band has some writing talent and a sense of humor too. “Things Just Ain’t What They Seem” is a dark rock song about a fellow who thinks his lady is stepping out on him, but the listener is left on his own to figure out why things are not as they appear to be. The slow smooth rocker “Dorian Grey” dramatizes the plot of Oscar Wilde’s The Picture of Dorian Gray, which is certainly something you will not run into very much in the blues world (or any other musical world, actually). The band changes things up a bit from track to track which keeps the album fresh throughout. “Sandman” is a sweet ballad that brings tasteful keyboard work and heavily processed lead guitars into the fray. “You Kissed Me Once” has a spaghetti western theme song sound with more than enough cowbell. A standout track is “Lightning in a Bottle” which is heavy and slow and has a catchy rhythm that uses a few different guitar tones and effects to arrive at a fun texture. Though the songs come from a multitude of inspiration points, the vocals stay constant throughout. This is surprising as all members of the trio share vocal responsibilities, but they are somehow able to lay down the same smoky and growly inflections. As this is a self-produced and recorded album it is not super-slick, with a mix that is too heavily weighted towards the bass and ride cymbal, abrupt song endings and background hiss to be found here and there. But it has a consistent tone and feel throughout and as such it comes off almost like a live show, which is a great way to find out what this band is all about. Sugar Daddy Blues Band’s Somebody’s Watching You is a good CD that is full of well-written and catchy songs, so give it a listen if you get a chance. This trio is not afraid of hitting the studio, so it will be interesting to see what they come up with next! We’ve been busy creating our new website. With the help of Ben Moffett our expert designer. We hope you will enjoy a short tour of the site. Any comments for improvement are welcome. In the meantime with every spare moment we have been working toward the completion of our second album “BUSTER”. It has been a challenging and exhausting pursuit. 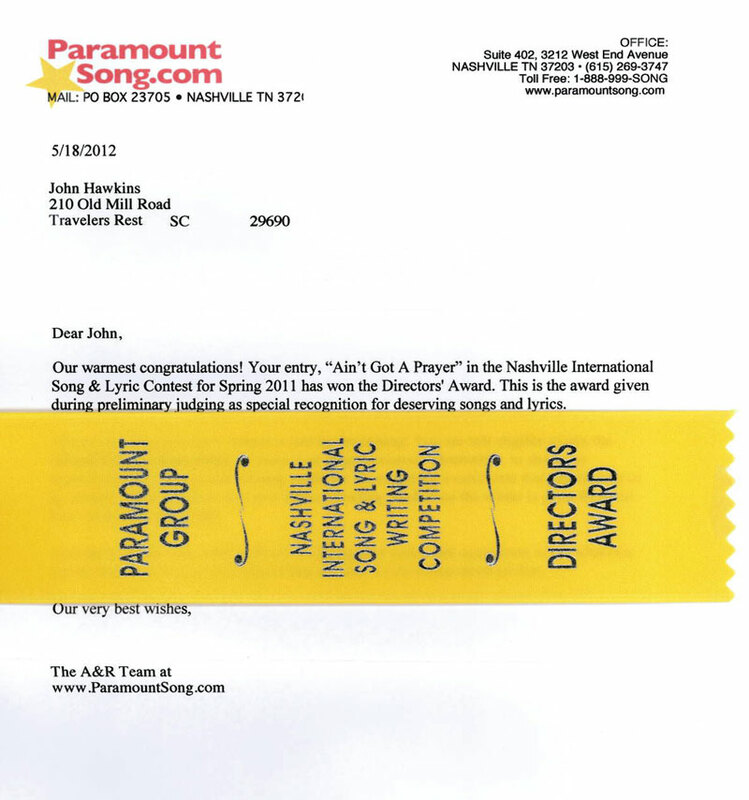 We hope the extra effort invested will profit our listeners. The art work for the new album, “Buster”, was completed by Lisa Clary and Ben Moffett. Thanks to their efforts, the end result we were looking for was captured. We hope our listeners share in our enthusiasm.